Jess is undertaking an MRC funded PhD at the Centre for Primary Care and Public Health, Queen Mary University of London. She is supervised by Chris Griffiths, Deborah Swinglehurst and Veronica White. 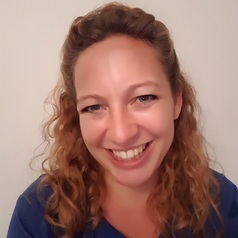 Her research combines survey data, narrative cross-language interviews and ethnography to explore health service encounters and health seeking behaviours amongst migrants on their journeys from their country of origin through to diagnosis with tuberculosis in the UK. Jess has a background in respiratory medicine and has taken time out from medical training to undertake her PhD. She has specialist clinical TB experience including multidrug resistant TB and spinal TB and is the trainee representative on the UK Joint Tuberculosis Committee of the British Thoracic Society. Alongside her PhD, Jess is involved in a project co-producing awareness materials for the national latent tuberculosis screening programme alongside animators and community members.